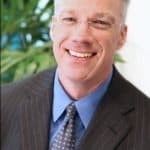 Newfoundland, NJ, April 17, 2019 --(PR.com)-- Today, AmpleHarvest.org, the nation’s only virtual solution to food waste and hunger, has announced the appointment of John Powers, Chief Corporate Development Officer at Deloitte, as their new Board President. “AmpleHarvest.org is a small organization so we count on an active and engaged working board to help us accomplish our mission nationwide,” added Oppenheimer. “We’ve been fortunate to have past board presidents lead the organization towards ever increasing impact and scale and are confident that John will build on that legacy. John Powers is the Chief Corporate Development Officer for Deloitte. He joined Deloitte in 1994, and has held various positions including Sector Leader for our Defense practice and Offering Leader for our M&A practice. John has been a Visiting Executive Lecturer at the Darden School of Business on the topic of merger integration. John graduated with a B.A. from Brown University and received an MBA from the Kellogg Graduate School of Management. He’s also a Certified Master Gardener with the Rutgers Morris County Cooperative Extension. · David Butler; Vice President of Digital Operations for Bonnier Corp.
AmpleHarvest.org, Inc. is a not-for-profit 501c3 organization that’s ending hunger and food waste nationwide by networking millions of home/community gardeners to thousands of local food pantries, each eager to receive and then distribute the growers excess harvest. For more information, visit http://www.AmpleHarvest.org/presskit or call AMPLE-6-9880 (267-536-9880).